"After graduation, I accepted a summer internship at UPMC. This summer, I realized my biggest strength and what made me stand out in the internship program is my humanistic perspective. I bring a unique outlook to strategic initiatives with my educational background in Liberal Arts and humanistic psychology. My education taught me so much more than proficiency in Excel programs or business jargon. I can think creatively with different problems that can arise at work. I have a unique perspective that looks beyond the numbers and financials of a project because I focus on the people and processes. At the end of the summer, I was given an opportunity to continue working with my team. Now I currently work as a Project Coordinator in a department that focuses on HR strategic initiatives. I am so thankful for my liberal arts education because it has set me apart in the business world through unconventional problem solving skills and a larger holistic picture of the world in front of me." "Throughout my senior year, I interned at Tickets for Kids Charities, which is a non-profit organization that provides free access to a variety of events for low-income and at-risk kid across the country. Not only was it a valuable experience working for a non-profit, but also in understanding my career goals after graduation. Having a hands-on work experience provides value that a class cannot - I felt like I was making a difference and my help was greatly appreciated. My advice for future students is to absolutely take any opportunity they can for internships. Any experience will help determine what you may or may not like in your particular field, not to mention you can make connections that will last a lifetime!" "I interned in The Office for Military and Veterans Students, at Duquesne University. During my internship, I was able to practice professional networking, communication within the work place, practice collaborating with a generational gap. My biggest take away from working with the office, is to not be afraid to showcase my skills and becoming more confident about bringing something new to the table. The reason I got my internship is one of my classes was working with a community partner, and after the project was over I reached out to the organization and told them if they needed help in the office I would be glad to help. In doing that, through the school, I was able to create an internship for credit that touches upon what I am learning in my major and applying it to the real world, while I still am getting credits." "This past summer, I interned at Keystone Trails Association (KTA). KTA is a trails advocacy non-profit which oversees all the hiking and trail maintenance clubs in Pennsylvania as well as thousands of individual members. They also work advocating at the state capital on behalf of Pennsylvania's hiking community. KTA also educates the public about the responsible use of trails and the environment across the Commonwealth. As an intern I created and assisted with developing position papers for advocacy efforts and attended legislative events. I also assisted with planning for and was able to attend hiking programs across the state. I helped run KTA's Facebook page along with interacting with various organization members, including the KTA Board of Directors, and the public." "I interned with the U.S. Department of State at the U.S. Embassy in Berlin, Germany from February to April 2017 in their Economic Section. I applied to this program through usajobs.gov, was accepted to the program three months later, and arrived on site six months later. While interning, I had the opportunity to support Embassy staff on a range of subjects including counterterrorism, cybersecurity, crime, trade, and the G20 Finance Ministers summit. I regularly conducted research, editing, and proofreading for official Embassy briefing material, as well as attended many meetings both in the Embassy, at German Federal Ministries, and at various think-tanks and nongovernmental organizations in Berlin. I wrote analytical reports for the Department of State and regularly collected and distributed a report on the ‘issues of the day' in Germany to the Department of State and to the wider U.S. Government. In addition, I assisted with official visits by U.S. Government representatives, such as a visit by the U.S. Secretary of Treasury, the First Daughter and Advisor to the President, and a Congressional delegation. The U.S. Department of State offers internships at many of its bureaus in Washington, D.C., as well as at many of its Embassies and Consulates overseas." "I interned at Prince Georges County Community Television (PGCTV) as a web developer. Working at this internship provided me with a lot of clarity about my career goals. I learned how to be proactive, and not reactive, and for the first time, I was able to develop websites in a very professional setting. As their only web developer, I had to do many things without being told. This differs greatly from school where you're given a specific blueprint to follow for virtually everything. I would advise working an internship for several reasons, but the main reason is it gives you very valuable work experience. It is also a way to see if you really enjoy your field of interest." "I worked with the Carnegie Library in Knoxville as an assistant with technology, and with the nonprofit, Life Changing Service Dogs for Veterans. These two opportunities stemmed from my Communication classes and truly helped apply classroom knowledge to a real world environment in an extremely valuable way. Next year, I will be teaching high school Spanish in Greensboro, NC with Teach for America. I am certain that my opportunities at Duquesne have helped prepare me for this exciting experience and I am grateful to have had them." 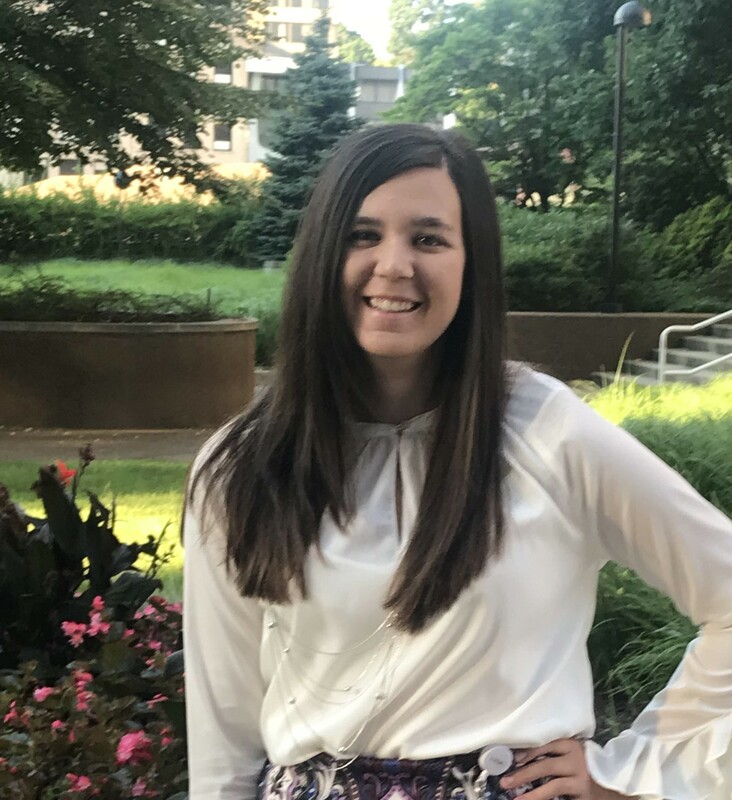 "During my internship at Southwest Airlines Governmental Affairs Department, I had the opportunity to work with elected officials at the local, state, and federal levels of government. Given the nature of government and the scope of Southwest's operation, I was never without something new and interesting to learn! Every day I had the opportunity to deal with different issues ranging from appropriations to immigration to tax policy. I often wrote briefs on various issues for members of the Governmental Affairs Department and others across the company. The people I worked with at Southwest were kind, smart, and willing to teach-never did my many questions go unanswered!"